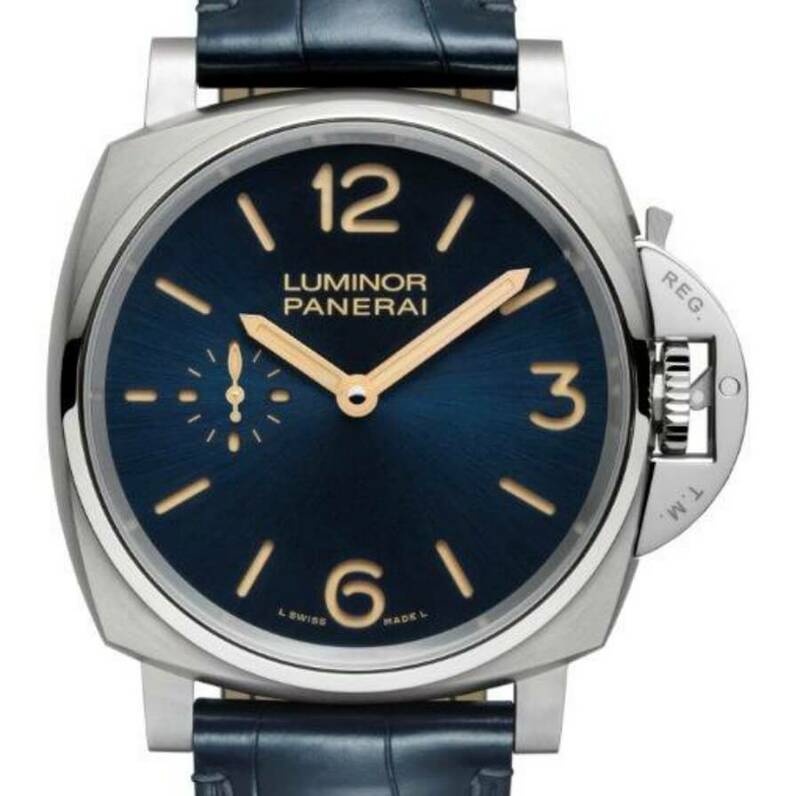 The case of the Panerai Luminor Due, inspired by the Luminor case of the 1950s but elegantly redesigned, is the thinnest and most versatile of those created by Panerai. First presented in 2016, it is the result of a successful interaction between the company’s designers and the engineers of the Panerai Manufacture. Two new Luminor Due watches with hand-wound movements and a power reserve of three days: one a lighter sports model, with a titanium case and a blue strap and dial, and the other more elegant and sophistiated, in red gold with an ivory dial and a finely skeletonised movement. 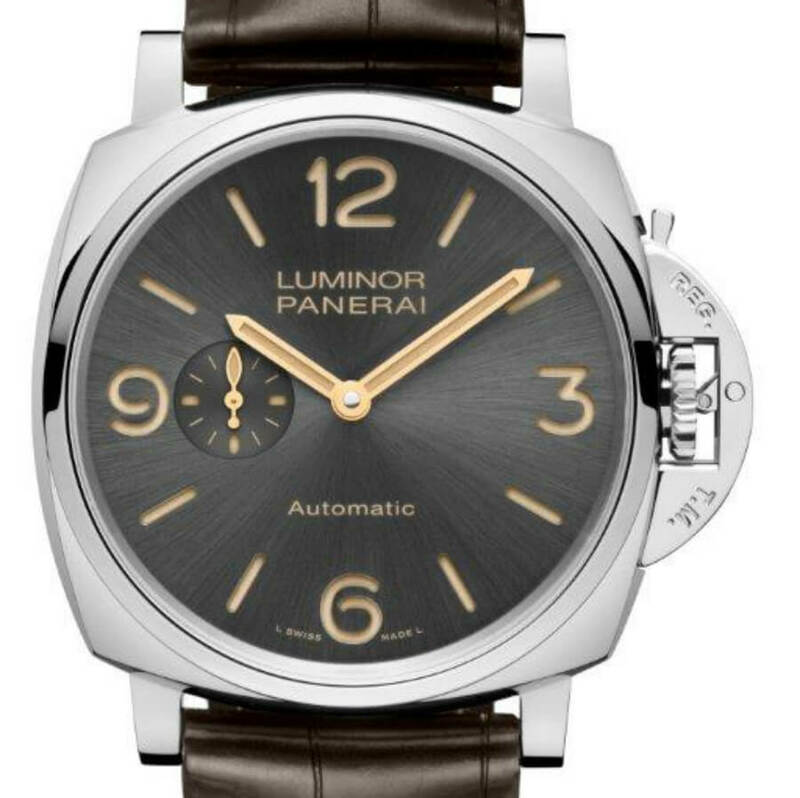 MOVEMENT: Hand-wound mechanical, P.1000 calibre, executed entirely by Panerai. FUNCTIONS: Hours, minutes, small seconds, seconds reset. CASE: 42 mm, brushed titanium. 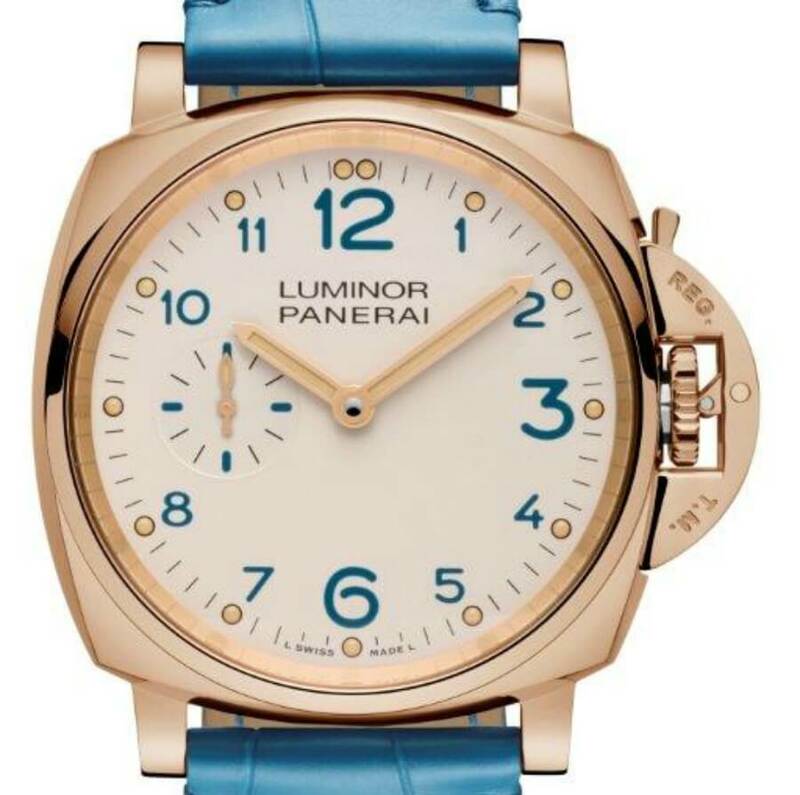 DIAL: Blue, sun-brushed, with luminous Arabic numerals and hour markers. Seconds at 9 o’clock. WATER-RESISTANCE: 3 bar (~30 metres). MOVEMENT: Hand-wound mechanical, P.1000/10 calibre, executed entirely by Panerai. CASE: 42 mm, 18 ct. polished red gold. DIAL: Ivory with Arabic numerals and luminous dot markers. Seconds at 9 o’clock. Two new watches with the unmistakable Panerai identity, suitable for every situation. 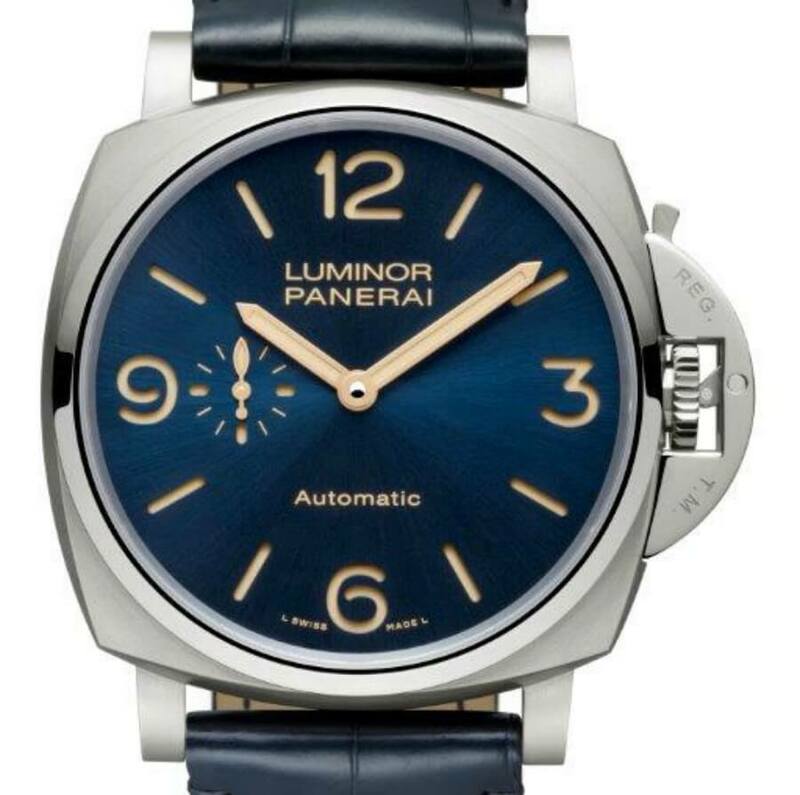 The purity of the design of the Luminor Due, with a steel or titanium case 45 mm in diameter, is combined with the technology of the P.4000 automatic caliber, with its off-centred micro-rotor. MOVEMENT: Automatic mechanical, P.4000 calibre, executed entirely by Panerai. FUNCTIONS: Hours, minutes, small seconds. CASE: 45 mm, brushed titanium. MOVEMENT: Automatic mechanical, P.4000/10 calibre, executed entirely by Panerai. CASE: 45 mm, AISI 316L polished steel. DIAL: Anthracite, sun-brushed, with luminous Arabic numerals and hour markers. Seconds at 9 o’clock. 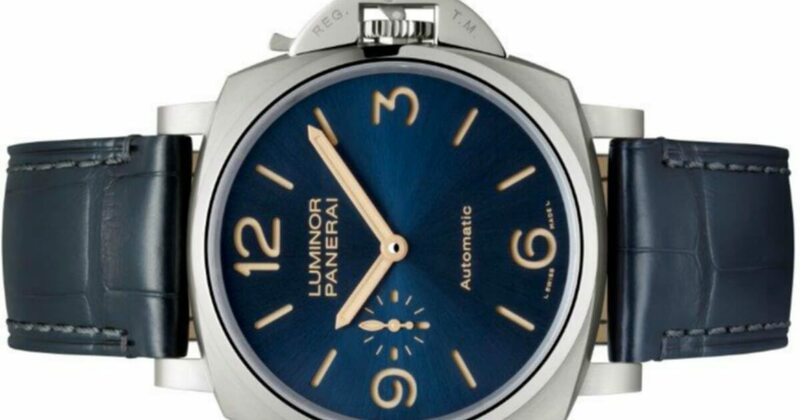 For more visit Panerai Online.